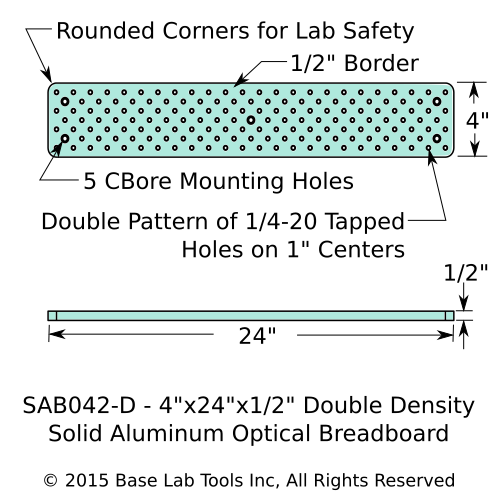 Base Lab Tools double density solid aluminum optical breadboards have a the standard 1" (25mm) spacing hole pattern twice on the aluminum breadboard. First with the standard 1/2" (12.5mm) border then again with a 1" (25mm) border effectively doubling the number of holes available on the optical breadboard. Convenient for dense mounting component layouts. Simplifies finding an appropriate mounting point for off axis mounts.